How do you know if you suffer from sciatica? Where does sciatic pain come from? How to find relief from sciatica? Just three questions which this page will answer. The large leg nerve (nervus ischiadus - also called the sciatic nerve), is the longest nerve in the human body. This nerve runs from the bottom of your back, along the buttock and back side of the leg, and branches out to the bottom of the foot. And nerve pain (neuralgia) in that part of the body is called sciatica. So sciatica is a name for the symptoms. The word doesn't say anything about the cause of the pain. Sciatica is not to be taken lightly, because it can lead to loss of function in leg or foot, think for instance of the so called drop foot. But the pain of sciatica itself can already be quite severe and debilitating. Neurologists speak of lumbosacral radicular sensation if there is only pain. If there is also loss of function, they speak of lumbosacral radicular syndrome. 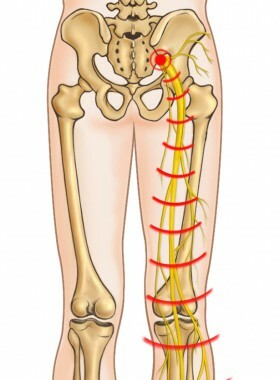 People do not agree about what really cause the sciatic pain. The usual opinion used to be that sciatica originates from irritation or pinching of the sciatic nerve. And the pinched or irritated nerve could be caused by too heavy lifting, pregnancy or even too much strain. But the sciatic nerve could also be pinched by the piriformis muscle. The last possible 'old school' cause is a herniated disc prerssing on the sciatic nerve. New research in recent years points more and more to another possible and very plausible cause for sciatic pains. This research was carried out because the explanations above also raised some unanswered questions. And you will read more about this in the articles below. 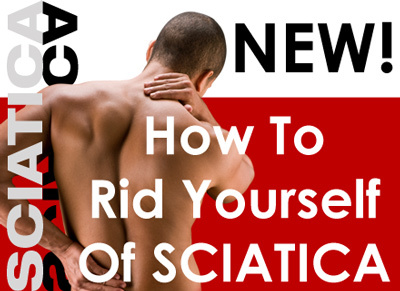 What Can You Do About Sciatica? Let me close this article with saying that with some perseverance AND insight most people will be able to rid themselves permanently of all sciatic pains. 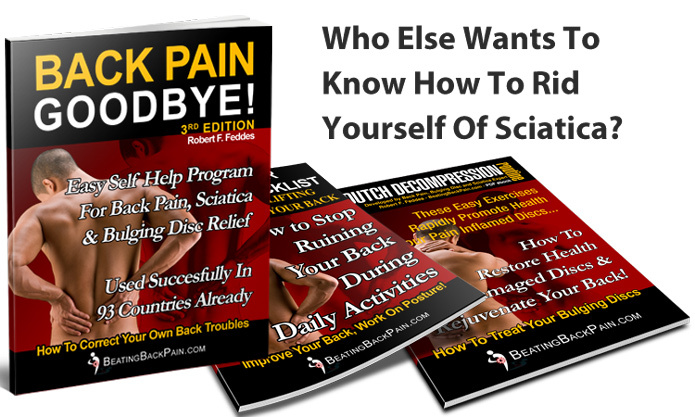 But before you can get rid of sciatica, you have to know what sciatica really is and how you got to suffer from sciatica in the first place ..
Did you know that thousands of people got rid of their painful complaints by fully natural means? No?.. Well, have I good news for you! NEXT: Herniated Disc - Leading Cause Of Sciatic Nerve Pain?